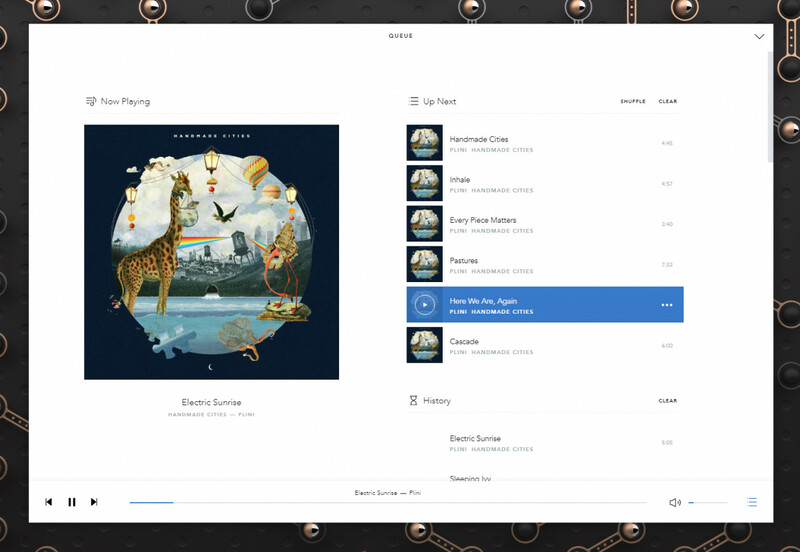 If you like your software to be well designed and free of clutter, you’ll want to check out Voltra’s gorgeous music player for Mac, Windows, and Linux. 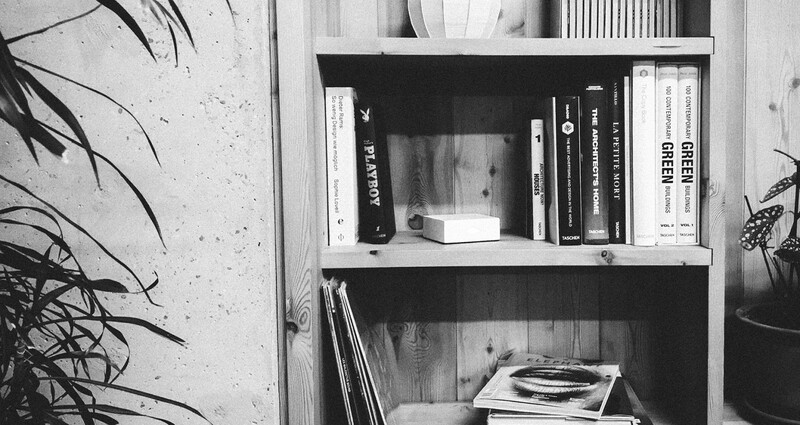 The free app catalogs music stored on your local hard drives and lets you rifle through them by artist, album, and song name. As with similar tools, you can create playlists and queues, and view and edit ID3 tags. Plus, it supports a range of formats, including, MP3, MP4, AAC, and OGG, and lossless ones like WAV, and FLAC. I love the neat and clean interface, which is easy on the eyes and makes scanning through your collection a treat. It’s not quite as flexible as my old favorite, Winamp, and getting around the various screens for playlists and what’s presently playing takes some getting used to – but when I’m just looking to kick back and fire up a lossless version of an album I enjoy, Voltra’s a good way to go. 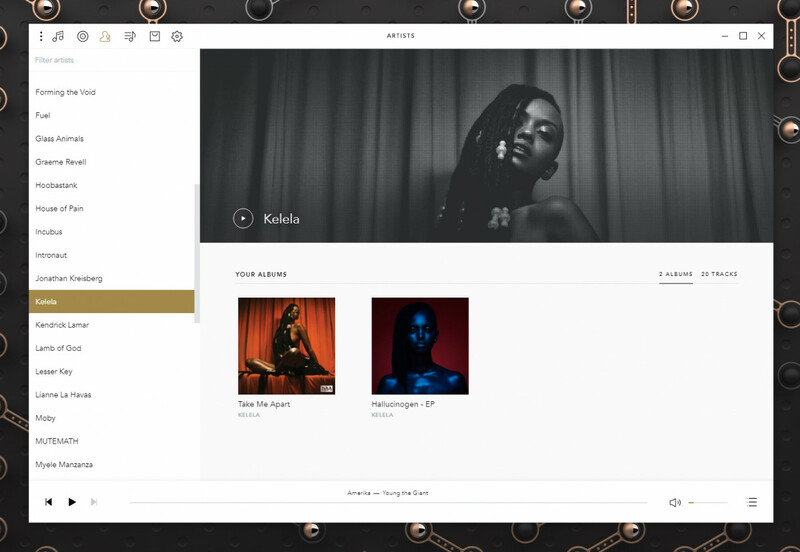 The bigger play with Voltra is the ability to upload your library to the cloud and stream your music in high-definition across devices, with a premium subscription that costs $9.99 a month or $99 annually. Besides desktops, Voltra also has an iOS app available, and an Android version is slated to launch soon. 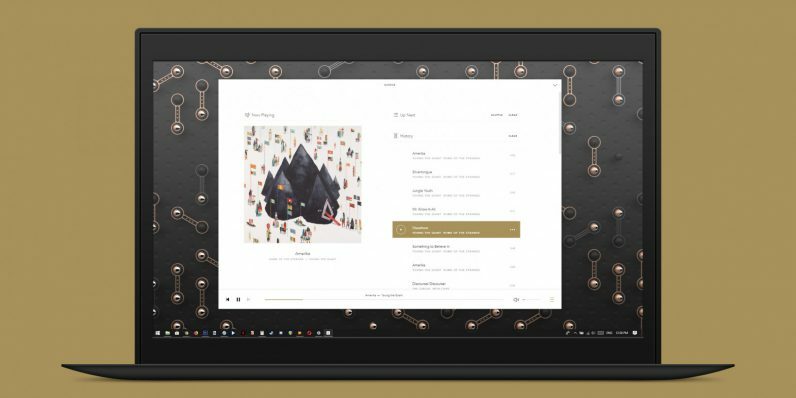 The company also plans to launch a dedicated hardware music server next spring, so you can stash all your music there and free up space in your computer’s hard drive. 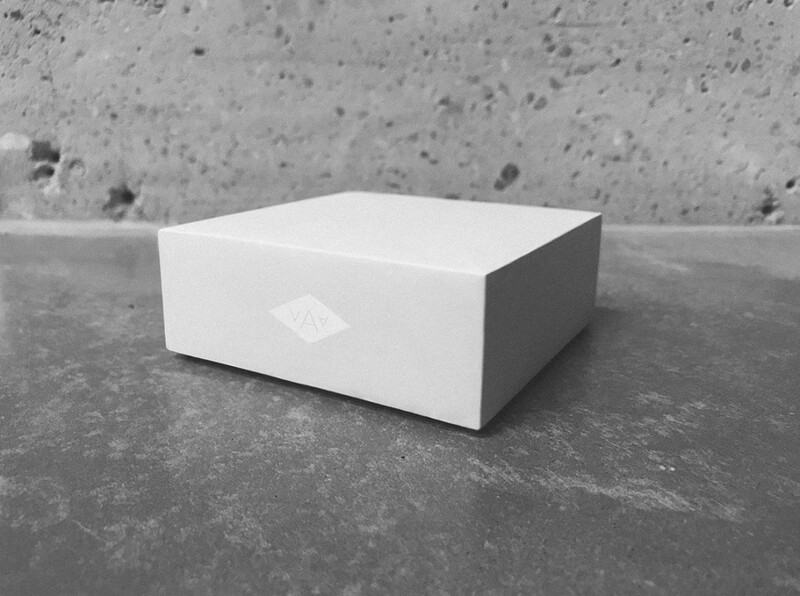 $300 will net you a paperback-sized device with 2TB of storage; you can pre-order it now to save $50. 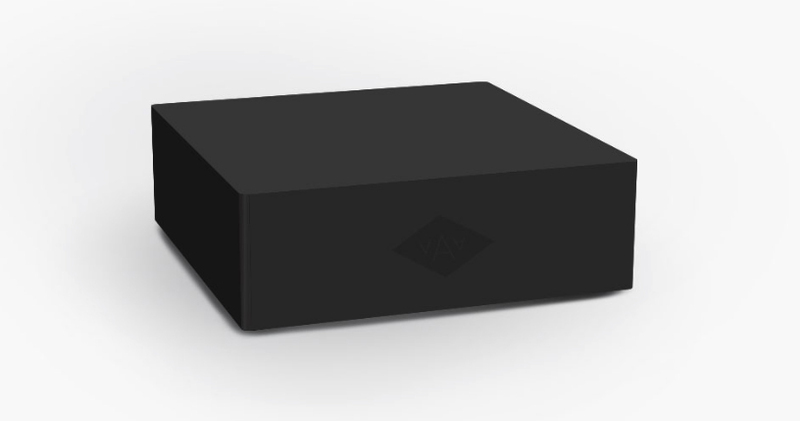 That makes Voltra a lot more powerful than other standalone music player apps, like Dopamine – but it’ll now have to compete with Plex, which offers free media server software and just launched a dedicated music player for desktops. Should you give Voltra a go? 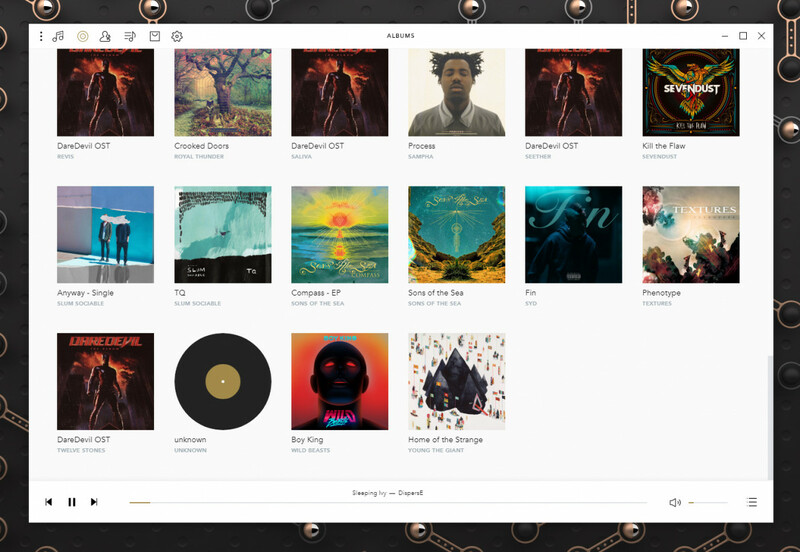 If you’re not already fully invested in streaming services and still have tracks stored on your computer, you’ll be hard-pressed a nicer looking app to play them with. Grab the installer here to try it.